As you might already know, the national media have descended upon Philadelphia for the Democratic National Convention. Some out-of-towners did not waste any time complaining about the city, but a couple of television hosts embraced the opportunity to educate themselves about local culinary delights. 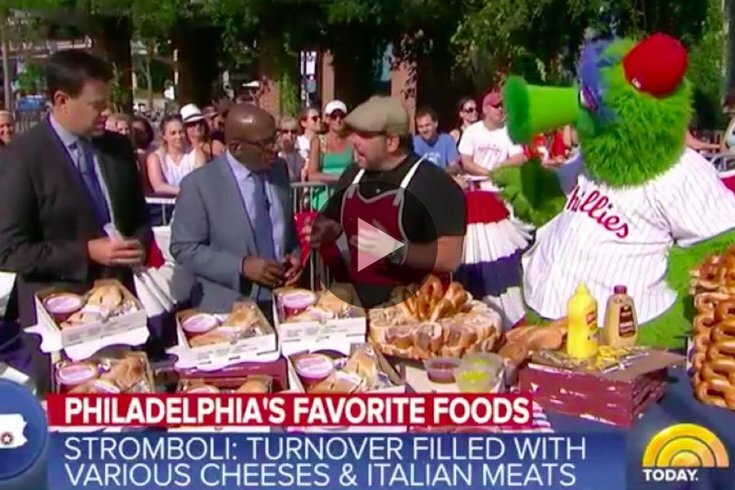 'Today' show hosts Carson Daly and Al Roker dedicated an entire segment of Tuesday's broadcast on Independence Mall to Philadelphia's best foods. The Phillie Phanatic and local chef Brian Duffy guided the hosts through the spread of strombolis, hoagies, soft pretzels, tomato pies and roast pork sandwiches with broccoli rabe.